Thanks to Jan Michielsen of 4 Wheel Drive (NL/D/B) for this link to Dennis Schut's YouTube channel, which includes many videos from a concert by the great Jim Eanes (USA) at Bad Ischl, Austria, in 1990. 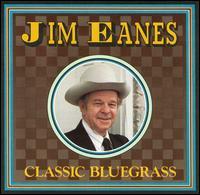 Jim, who at the time looked much the same as on the cover of his Rebel CD Classic bluegrass (above), performed both solo and with the accompaniment of the German band Hard Times; and (despite a rather noisy audience) he was in magnificent voice. The channel also includes footage from other performances by him and four instalments showing him being interviewed by Dennis Schut. Jan also sends links to videos on his own Cheap Aldi Camera Productions channel: a reunion show by Helmut & the Hillbillies (D) in Thun, Switzerland, this year; a tribute to Ulli Sieker, mandolinist and fiddler with the Looping Brothers (D) and 4 Wheel Drive; Jurgen Biller (4WD banjoist) and friends at the Banjoree 2009, 1 and 2; and 4 Wheel Drive at 'Folk in Schlosshof', shot at the beginning of July 2011. Doppelstopp goes “on air” today! Takeoff imminent at Kemble airfield! Bluegrass in the London area? Yes!